""EXC+++++""The serial no.is 821166■ Appearance Appearance is beautiful, tiny scuffs from normal use.It shows signs of use. *Please check photos.■ Optics Beautiful condition. There is no fog.There is no fungus.There is no scratches.There is no separation.There is a slight scratch in the front lens.■ Functional It works properly.■ Bundled Items Front CapRear CapAll you can see on the picture will be included in a set of a package.Please refer to the pictures for more details.Please check the pictures and don't hesitate to ask any questions about the item ! Thank you. There is a slight scratch in the front lens. tiny scuffs from normal use. ■ Functional. poor appearance. There is no separation. There is no fungus. Appearance is beautiful. The Nikon Nikkor 50 mm-135 mm f/3.5 Ai-S is a MF zoom lens that brings distant subjects closer and often finds use in outdoor photography, especially for sports and wildlife. With an aperture range of f/3.5-32, this 50 mm-135 mm Nikon lens lets you click clear and detailed photos even in low-light conditions. The Nikon Nikkor 50 mm-135 mm f/3.5 Ai-S MF zoom lens has a construction of 16 elements in 13 groups, which addresses image blurring, distortion and chromatic aberrations to deliver high-quality photos. 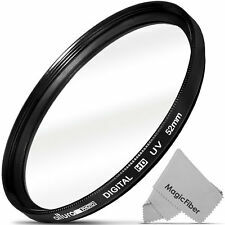 This Nikon lens accepts 52 mm filters of various types to reduce glare, improve saturation and block harmful UV rays. This lens is one of those Nikkors that although large in stature is well suited as an everyday do all lens. It does semi-macro at 50mm. The best feature is that it is f/3.5 at all focal lengths! It is not a lightweight lens but it fits well on my F2AS.